Unimpressed with your last Termite Inspection?? We’re excited to introduce the newest member of our team, the Flir B60 Thermal imaging Camera. Thermal imaging is really helping our industry move forward to more effective ways of detecting White ants (Termites) behind walls. 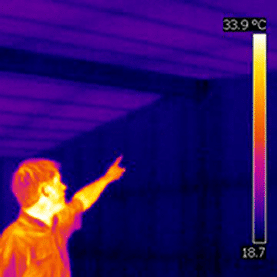 It helps us locate thermal Temperature variances on wall surfaces caused by termites and water leaks. You’ll be amazed what we can see. 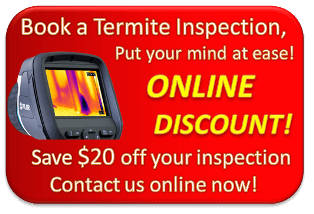 Remember to Ask for Thermal when booking your Termite Inspection or ask for a free demonstration! This picture shows leak in the roof. You may notice this roof has no insulation.